US military commanders are preparing to expand US operations in Afghanistan, including through the deployment of more US troops in a front-line combat role and stepped up air strikes, General John Campbell, the outgoing US commander in Afghanistan, told the Washington Post in an interview Friday. “We shouldn’t sugarcoat it,” Campbell said. “I’m not going to leave without making sure my leadership understands there are things we need to do. Campbell’s statements are the latest in a series of announcements by the White House and Pentagon that amount to a public acknowledgment that the American military is planning a permanent military occupation of Afghanistan. Senior unnamed US officers recently told the Post that the Pentagon is basing itself on assumptions that US forces will remain there for “decades.” US forces must stay in Afghanistan for “a very long time” in order to support the Afghan security apparatus with a combination of air strikes, intelligence gathering, logistical assistance and direct participation in ground combat. General Campbell met with Obama personally on Thursday to discuss his proposed revisions to the administration’s “drawdown” schedule. The White House visit followed Campbell’s Congressional testimony, during which the general said that “Afghanistan has not achieved an enduring level of security and stability that justifies a reduction of our support.” He demanded Congressional support for daily US air raids. Referring to the Obama administration’s Afghanistan policy, Campbell criticized the White House for earlier plans to “drawdown” US forces in the country. “They banked on hope instead of reality, and now they’re paying the piper,” he said. Campbell’s comments, which flout the basic principle of civilian control of the military, are part of growing pressure from sections of the political and military establishment for expanded war in Afghanistan and throughout Central Asia and the Middle East. For its part, the Obama administration, which has sought to focus military resources in East Asia, has responded by pledging to intensify operations in Afghanistan. Last October, the Obama administration reversed its earlier proposal to reduce US troop presence, announcing that 10,000 troops will remain in Afghanistan at least through the end of his presidency. Behind the scenes, Defense Secretary Ashton Carter has been active in planning the expansion of the “secret war” in the country. In January, the Obama administration authorized the de facto expansion of the war nominally targeting the Islamic State, waged since 2014 across Syria and Iraq, into portions of northeastern Afghanistan. 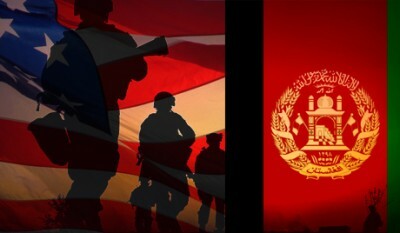 These moves are also a repines to the intensifying crisis of Washington’s puppet regime in Kabul, which has undercut the administration’s efforts to maintain the US grip over Afghanistan through a minimal exertion of US ground strength. The Kabul regime has been incapable of securing key cities throughout the country, including Kunduz, where new Taliban assaults are anticipated, central areas of Helmand province and even its own capital. US imperialism has responded by bolstering its presence in the country. Also of concern to Washington are the efforts of China to secure more of a strategic foothold in Afghanistan, which the US considers a stronghold of its military-political agenda in Central Asia. Reports Sunday that Kabul has accepted Chinese Ambassador Yao Jing’s proposals for projects to enhance railway and other infrastructure linking the two countries have underscored the growing tensions within Afghanistan produced by the growing US-China struggle.